SAS Nutrition Unleashed Extreme Review | Buy or a Scam? Breaking your personal best in the gym takes a lot of sweat, determination and hard work. Many athletes and body-builders are looking for something just to give them that edge, and are drawn to pre-workout supplements, such as the very manly sounding SAS Nutrition Unleashed Extreme, that promise to do just that. But do these products actually help give you that extra bit of energy and give you those extra few reps that you’re after? Are they worth any potential side effects and the money that they cost? We explore SAS Nutrition Unleashed Extreme and give you the low down. SAS Nutrition Unleashed Extreme is a once-a-day pre-workout supplement produced by SAS Nutrition which claims to help consumers increase pump and enable greater muscular development. It can be bought either online, from the SAS Nutrition website, or from their physical store in Glasgow in Scotland. It is a drink which is mixed with water and consumed prior to workout, and comes in two flavours: fresh orange and fruit punch. What Are The Side Effects Of SAS Nutrition Unleashed Extreme? No side effects have been officially noted for this product. However, it does contain a modest dose of caffeine, which could cause effects such as jitters or insomnia in people with a sensitivity to the ingredient. Beta Alanine is also known to give people a tingling feeling, which is completely normal and harmless. 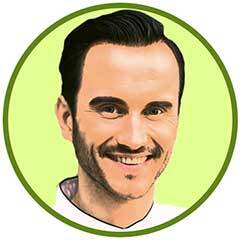 How Much Does SAS Nutrition Unleashed Extreme Cost? SAS Nutrition Unleashed Extreme costs £24.99 on the SAS Nutrition website. Normal shipping is free, but if you want it delivered within 24-48 hours, there is a £6.99 delivery free. We assume it is the same price in store. 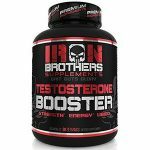 On Amazon, SAS Nutrition are selling the product for £17.59, which is considerably cheaper. One bottle contains 16 servings, which should last you 16 days. As a pre-workout supplement, this is one of the better ones that we have seen. All of the ingredients are well dosed and have some scientific evidence to back up their efficacy. There’s nothing in here that is harmful, pushing on the legal/illegal boundary or going to leave with you with any horrible side effects. All in all, it looks like a pretty good supplement. However, there is a distinct lack of reviews online for this product. This may simply be because it just hasn’t been picked up by the bodybuilding world yet, but we like to get a sense of what users think about it before we recommend it. We also aren’t sure who actually makes the product – yes, SAS Nutrition sell it under their name, but is it produced elsewhere for them? We would like to know more about that, just so we can be sure that it’s exactly what it says it is and is regulated. With all of that in mind, we do not recommend SAS Nutrition Unleashed Extreme to our readers. 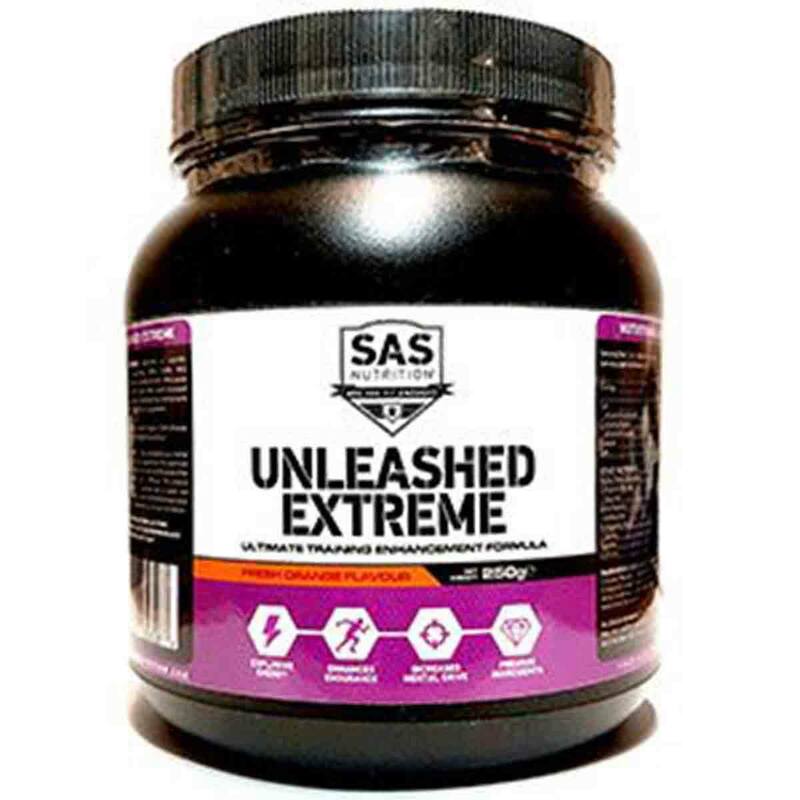 SAS Nutrition Unleashed Extreme is a once-daily pre-workout drink from SAS Nutrition which is supposed to help consumers increase pump and enable greater muscular development. It comes in two flavours, fresh orange and fruit punch. SAS Nutrition are a small company based in Glasgow, Scotland. As well as having an online shop, the products can be bought in the physical shop. Add three scoops (15 g) to 150 ml of water. Stir with a fork and consumer prior to a workout. We don’t have many concerns about the company, other than the lack of reviews around them. They’re a small, independent company, so we imagine the supplement is made elsewhere and packaged especially for them. We would like to know who and where makes the actual product, to make sure they comply with government guidelines. What Does SAS Nutrition Unleashed Extreme Claim To Do? SAS Nutrition Unleashed extreme is crazy, and is a fruit flavoured pre-workout drink blend designed to maximise your workouts, increase pump and enable greater muscular development. 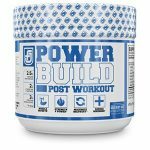 This unique product will supercharge training intensity and endurance capabilities. SAS Unleashed Extreme represents a scientific breakthrough for supporting Nitric Oxide (NO) production during training. 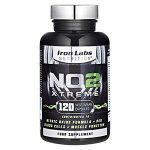 Nitric oxide is a chemical found in the body that causes increased blood flow to muscle tissue, delivering the vital nutrients you need and enhancing physical capabilities. This zingy, fruit flavoured drink blend is designed to maximise your workouts, The key inclusions; Citrulline malate and Alpha-keto Glutarate assist in the production of Nitric Oxide to ensure a more efficient and sustained workout. This expertly formulated blend also includes a powerful Amino Acid Matrix as well as Taurine and Caffeine for enhanced mental focus. Does SAS Nutrition Unleashed Extreme Work? Almost every ingredient in the SAS Nutrition Unleashed Extreme has scientific evidence backing them up, so as far as pre-workout supplements go, this is one of the better ones that we have seen. It will give you a good boost of energy and will help you to stay longer in the gym. What Are The Ingredients of SAS Nutrition Unleashed Extreme? 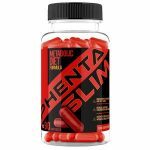 Alpha-Keto-Glutarate (2g): This is an is an advanced form of the amino acid Arginine and is used by bodybuilders and athletes to prolong the muscle pump, accelerate muscle growth, speed recovery, and can also improve sexual performance. It stimulates the production of nitric oxide and widens the diameter of the blood vessels, without raising blood pressure. This, in turn, means that more blood and oxygen can be carried to the muscles and tissues and deliver increased amounts of proteins, carbs, and other important anabolic hormones such as testosterone, which is needed for muscle growth and encourages protein synthesis. The optimum dosage is thought to be between 1.5g and 3.5g, 30 minutes before training. Citrulline Malate (2g): This is an amino acid which turns into Arginine in the kidneys following supplementation. Interestingly, it is more effective for boosting Arginine that taking an Arginine supplement. 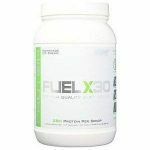 It has been shown to reduce fatigue and improve endurance for both aerobic and anaerobic prolonged exercise. However, there is no evidence to support the claims that it improves power output during exercise but it can help to encourage nitric oxide metabolism. L-Leucine (2g): This is an essential branched-chain amino acid (BCAA) which stimulates protein synthesis in the body, and is used as a building block for muscles. They are unique because they are the only amino acids burned by muscles as fuel. 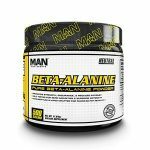 Beta Alanine (1.5g): This is a non-essential amino acid that works to increase muscle carnosine levels, which is the muscles’ first lines of defence against the buildup of hydrogen ions during high-intensity exercise. To date, every study in which beta-alanine has been supplemented to human subjects has resulted in a significant increase in muscle carnosine. It is recommended to supplement with taurine as well, which this product does. L-Isoleucine (1g): This appears to promote glucose consumption and uptake. It also plays a role in inducing muscle protein synthesis, although it is not as strong as L-Leucine. 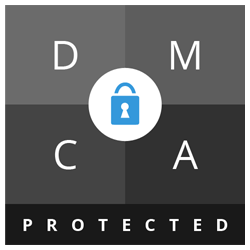 D-Aspartic-Acid (1g): This is an amino acid in the body which plays an important role in the manufacture and release of hormones, including testosterone. However, this does not seem to work in all cases. Men who have low testosterone levels or are inactive seem to benefit from DAA, but generally, it does not seem to make much difference in terms of exercise performance or testosterone levels in healthy men. L-Valine (1g): This is another amino acid which plays a small role in stimulating protein synthesis and helps stop muscle breakdown from strenuous exercise by supplying extra glucose to give an extra energy supply. Taurine (500mg): Yet another amino acid, which is often found in energy drinks.it is present in the body in the brain, eyes, blood and heart, and is also derived from red meat and fish. Taurine may be capable of improving aerobic exercise performance, but not so much in strength based exercise, and aids the recovery of muscles. Caffeine (200mg): Numerous studies have shown that caffeine boosts energy levels and alertness, as well as helping to boost the metabolism, causing a small increase in the number of calories used by the body. Other Ingredients: Flavourings, colourings, stabilisers, sweeteners, sucralose. Does SAS Nutrition Unleashed Extreme Have Any Side Effects? No side effects have been reported for this supplement. However, it does contain caffeine. Although this is not a particularly high dose, someone who has a sensitivity to the ingredient may experience ‘jittery’ feelings and insomnia. Beta-Alanine can also cause some tingling feelings for some users. As with all supplements, do not use without consulting a doctor if you have an existing medical condition or are taking prescription medication. Do not use if you are under 18, pregnant or breastfeeding. Are There Any Customer Reviews For SAS Nutrition Unleashed Extreme? We have been unable to find any customer reviews or discussion about this product online. Does SAS Nutrition Unleashed Extreme Offer a Money-Back Guarantee? SAS Nutrition offers a 30-day returns policy on unopened products. They also state that it is 100% guaranteed satisfaction, and to contact them (phone number, email address, and store address is clearly listed on the website) if you are unhappy with the products. It is unclear how this would be resolved. Where Can I Buy SAS Nutrition Unleashed Extreme? You can buy the product from their online shop for £24.99 or their physical shop, which is based in Glasgow. It is also available on Amazon for £17.59. The Muscle Watchdog does not recommend SAS Nutrition Unleashed Extreme.